President Lincoln and the government quickly realized that the rebellion, starting in April, was much larger and more serious than the initial call for troops, serving just three months, could put down. As the three-month regiment terms expired, many, if not most of the soldiers knew their nation remained at great peril and their duty was not finished. Starting in August, 1861, men began enlisting in new regiments which were being formed all across the Union. Many soldiers who had served in the three-month 16th Ohio Volunteer Infantry now began to enlist in the newly formed regiment for three years. The 16th Ohio Volunteer Infantry, it's three-month term having expired on August 18, began organizing as a three year regiment about September 2, 1861, at Camp Tiffin, Ohio, some men enrolling just two weeks after completing their service with the three month regiment. Camp Tiffin was one of several camps established by the state of Ohio to speed up induction of men into the army. It was located just north of Wooster in a place called Quinby's Grove which, today, is located in the northwest portion of the College of Wooster campus. 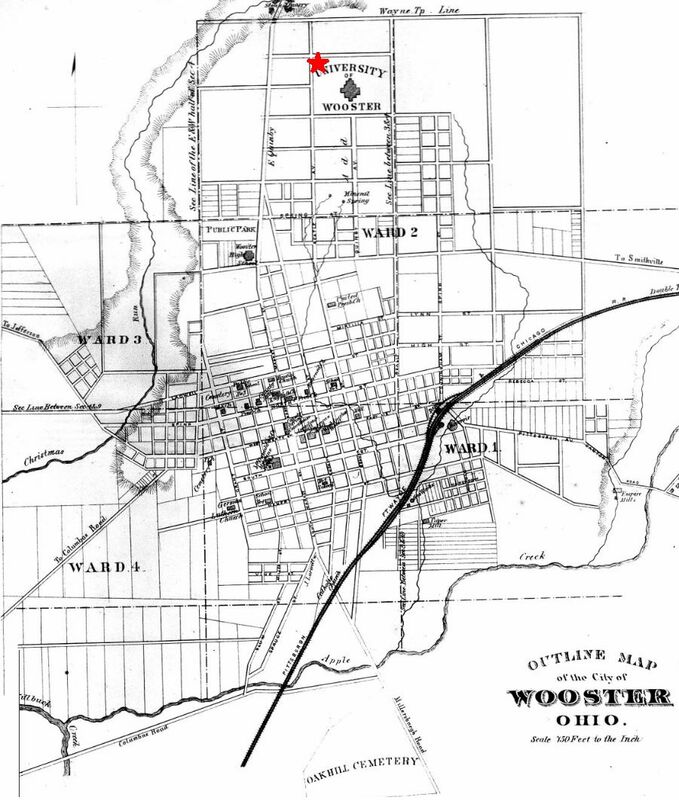 Five Companies, A, C, G, H and K, making up half the regiment, were formed from the Wooster, Wayne County, area. Other Companies which eventually formed the 16th Ohio were organized at Zanesville and Camp Chase, Columbus, Ohio, and included men from Muskingum, Ashland, Holmes, Clark, Union and Richland counties. The companies that were to constitute the 16th Regiment Ohio Volunteer Infantry, had all gathered into camp, had their places assigned to them, and had settled down to the routines of camp life, with, perhaps a little more extravagance in the culinary department than was afterwards observed, and less of that self-reliance and individual independence that characterized the men of the regiment in later years. Discipline was established. The men were drilled by those that had a smattering of the tactics. During drill hours the woods and fields in the vicinity of camp resounded with the tramp of many feet and the commands of the officers. One company at a time was called into ranks. The mustering officer, surgeon and company officers took their position in front. The roll of the company was produced, and each man as his name was called passed up to the examining surgeon, raised his hands above his head, touching the palms, and stood in that position while the surgeon went through a process of feeling and sounding the person, examining the teeth, &c. The age of each man was put down as he gave it. If there was any deficiency detected, the man was ordered to step aside, and afterwards received an extra examination. When this part of the business was completed, the men being in line, the mustering officer in a loud, clear voice, informed the men that he was about to administer to them an oath, that, if they lived, would be binding on them for three years, unless sooner discharged, and any man that did not wish to take the oath should advance three paces to front. After a slight pause, no one advancing, the right hands were raised, the oath administered, and the company marched to their quarters. The time gradually approached at which we were to leave Camp Tiffin. Rumors ran through camp that we were to leave in a few days. Final good-by's were uttered by departing visitors; sad faces turned from the busy camp; brothers and sisters, wives and parents, began to realize that the boys were soon to leave for the Sunny South land; surplus baggage was removed from camp; soldiers on leave of absence were called in, and the men were practiced in striking tents by a signal from the drum. One can only imagine the mood of the soldiers on this day, knowing they would leave the next day and that some of them, maybe many of them, would never return again.